It is time for you to "MacGyver" a dessert together for a dinner party last minute. You only have the morning to put it (and yourself and family) together because you are out all afternoon. You have three left over apples from the orchard trip. A brick of cream cheese. A bottle of Grand Marnier. This cake will get you out of many a tight squeeze such as this. 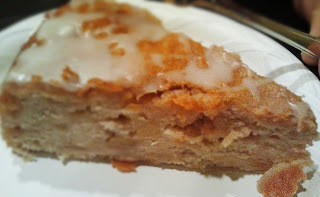 Its very easy, and the Grand Marnier adds a nice citrus note to the cake. You can use orange juice or lemon juice if you want to skip the alcohol. You can use a 9" springform pan, or a 13 x 9 pan, or even a bundt. I adapted it from an old MUFFINS book from Williams Sonoma, that has a ton more in there than just muffins. Now go save the rest of your day. Preheat oven to 350˚. Spray your pan with baking spray and set aside. In a bowl, mix with a fork the flour, baking powder and salt. 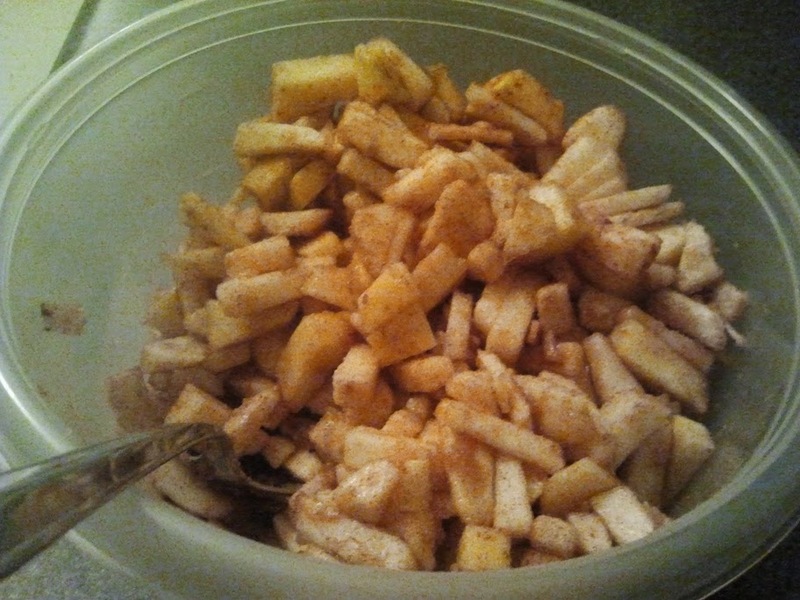 In another bowl toss the apples with the Grand Marnier, brown sugar, cardamom, cinnamon and nutmeg. Toss to coat and set aside to macerate for about 30 minutes. In a large bowl, using an electric mixer, cream the butter and cream cheese until smooth. Add the sugar and vanilla and beat until fluffy. Add the eggs, one at a time, until well combined. 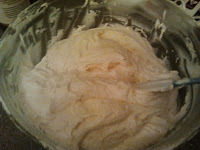 Add the dry ingredients in 2 parts, mixing until combined, but don't over mix. Using a spatula, fold in the apples until well combined. Careful to not overmix. 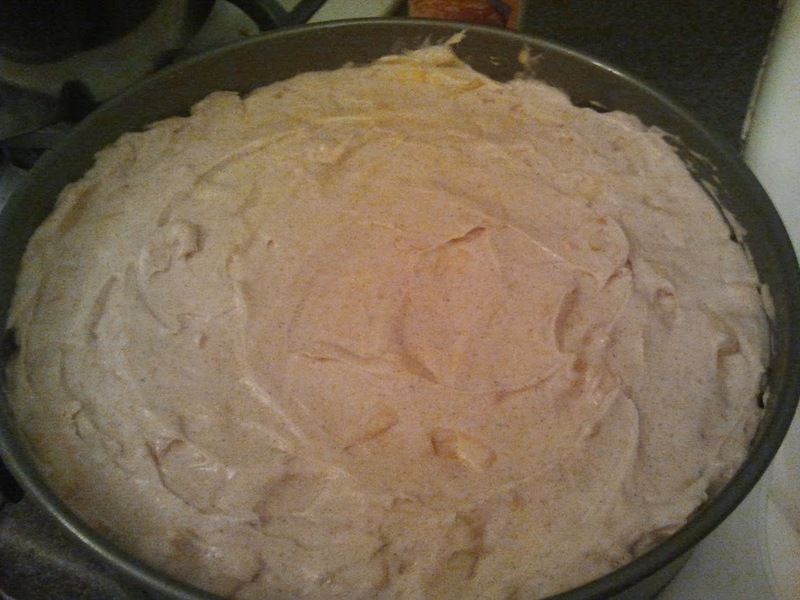 Pour batter into the pan and spread evenly. Bake until top is golden and toothpick comes out clean, about 50-60 minutes. Cool on a wire rack, removing springform sides after about 5 minutes. 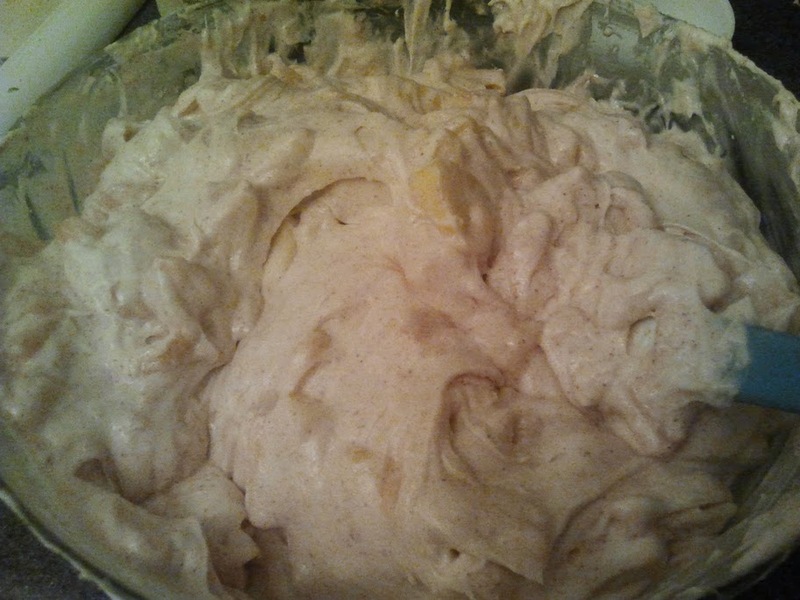 Meanwhile, mix the glaze in a small bowl until a smooth, "drizzle consistency" is achieved. You may need to add more sugar or liquid to achieve the right drizzle. While cake is still warm, drizzle the top with the glaze using a fork or spoon. Serve warm. Made this tonight and it was delicious, though it turns out the middle was totally un-cooked! I cooked it in a 9" springform at 350 for 1 hour... (Clearly my toothpick test failed me.) Maybe it's just my oven? Hi Kristen! I am so sorry to hear that. 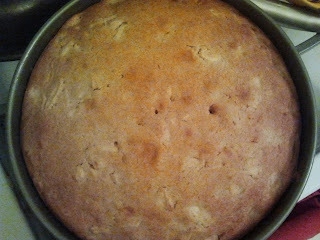 There definitely is a lot of moisture in this cake. Maybe if you try it again, make sure you are on a middle rack, and lower your temp by 25 degrees and cook it longer? You can always put some parchment or tinfoil on top if things start browning too much as you are trying to get your insides cooked. It may be your oven, but it is hard to say. 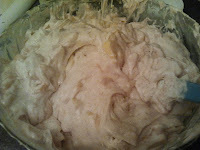 There are so many factors that go into leavening and cooking cake batter. Have you ever had inconsistent issues with your oven? You may want to turn the pan around a few times during cooking, too, to make sure it gets cooked evenly. And there are thermometers you can buy to test if your oven needs to be re calibrated (which I hear is very common). I hope you try again and it works out! It is a brunch favorite over here. Please stop by again soon! Happy Baking! Absolutely delicious!! Thank you for sharing ti with us! !